Psychedelic Mens 70s Costume complete with funky headband. 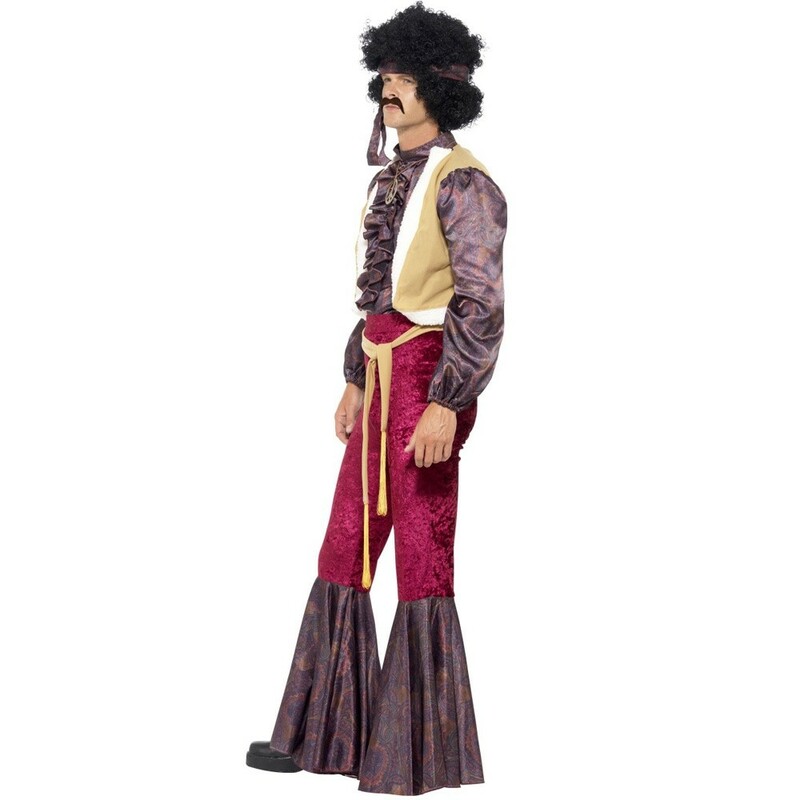 This psychedelic Mens 70s Costume is perfect to show off your 70s rocker side. This Mens 70s Costume is complete with a funky purple top and attached waistcoat, faux velvet flares and a 70s themed headband. 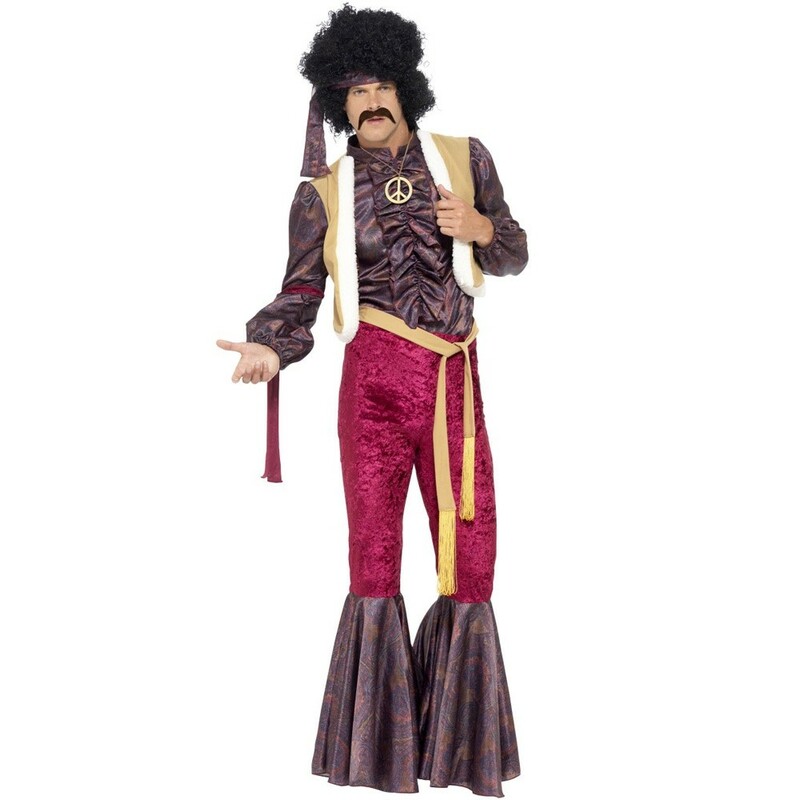 Get into the groove with this velvet effect Mens 70s Costume.